I feel like I hear “meal planning” in the air everywhere now. It’s such a popular idea, and it’s time to jump on the bandwagon if you haven’t already. It seems simple enough. I am going to plan what meals my family will eat this week. Done. But then you sit down to do just that and realize that an hour has gone by and you are still searching through recipes you saved on Pinterest and you have only decided on one meal for the week. 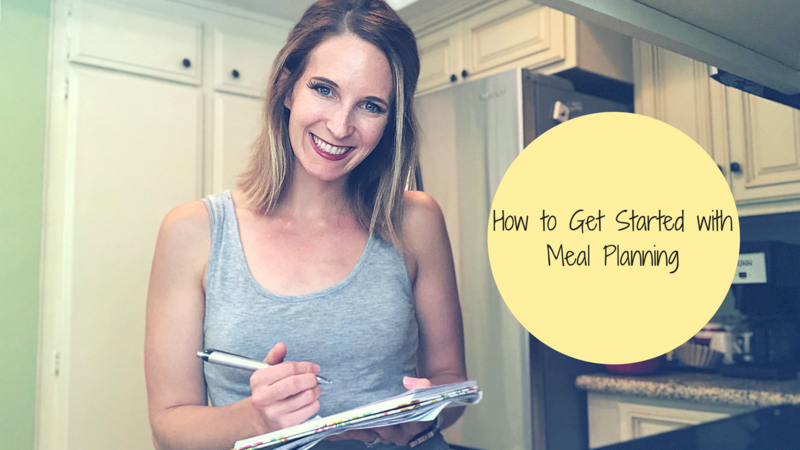 My goal is to walk you through getting started in your meal planning. First, you will need to start by asking yourself these questions. What produce do you have in your fridge, freezer, or pantry that you want to use up? What meats, proteins, beans, legumes do you have for the center of your meals? What does your schedule look like this week? What days would a crockpot meal work best? What social events do you have? What are the kids’ schedules like this week, and how will that impact your dinner time? Use the meal planner form to start with your dinners. What will the source of protein be? How can you use that same protein later in the week? Add the vegetables in next. Carbs and starches come last. Plan for at least one day of leftovers. Where can you try a new food or ingredient? What recipes do you have saved on Pinterest that you’d finally like to try? Once you know what your dinners are going to be, what are the recipes? What ingredients do you need? What will you have as a side dish to your dinners? Compile the recipes together in one place. How can you buy in bulk to save money for all of the recipes? Can any of the recipes be easily doubled to fit your family size or doubled for leftovers or lunches? What parts of the recipes can be prepared ahead of time? Casseroles, crockpot meals, sauces, cooking dried beans, etc. can all be made ahead of time and frozen. You still need time in the evening to cook or bake the meal - usually 30-45 minutes each evening. Even if these are crockpot meals, you still need time to shred chicken, assemble ingredients, etc. Shredded into tacos, diced for salads, chopped in soups, stirfry, etc. Brown a big batch of ground turkey to have ready for tacos, sloppy joes, etc. Cook quinoa, beans, eggs, and roasted veggies. Then store and use with recipes. This is a good method for those who do have more time each evening to put meals together, but need things to go a little faster. Still need a plan, need to have items conveniently pre-cooked or ready to throw together. Not a good method for anyone. Use a blank meal planner resource every week! Put it in a sheet protector and use a dry erase marker with it each week so you don't have to reprint. Take photos of your meal plans to use in the future. Knowing your meals ahead of time really is the biggest time savor. Making the shopping list, finding the recipes, and planning it all out will take the longest. It gets easier with time! My personal method? A mix of all three. I look at what type of week I have coming up, what my work schedule looks like, and how I can best prepare. 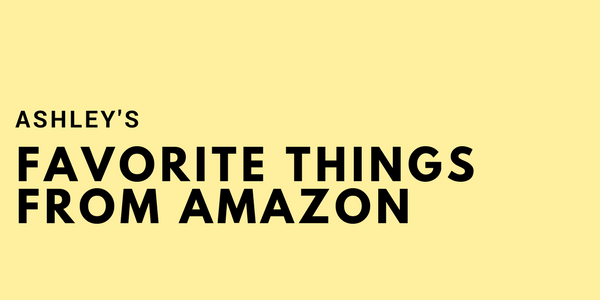 Click on links to see recommended brands. Does it seem daunting and overwhelming? Do you find yourself being all gung-ho for a week or two and then your planning just goes out the window? I get it! We’ve all been there! Developing a healthier lifestyle takes time, but you get out of it what you put into it. Try to commit to a full month, and then see how you feel. I know that you will love your results and that urge to quit will go away. I’d love to hear how you’re all doing with your meal planning! Comment below with your success stories! Or, if you’re finding that you can’t stay on track, let me know - I’m here for you!